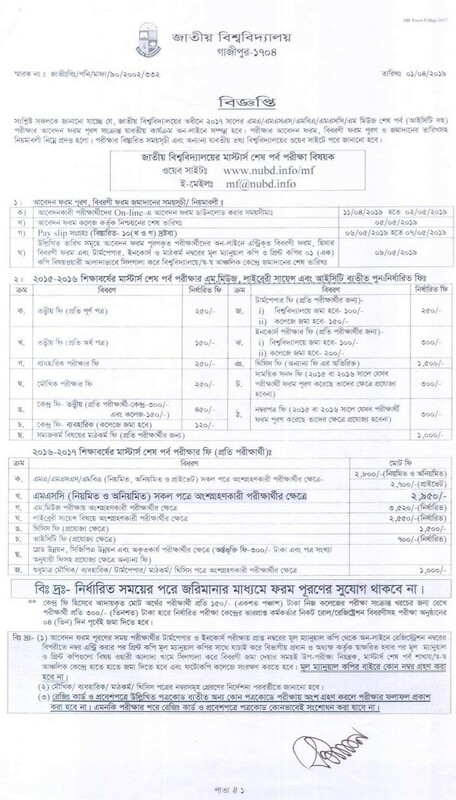 Masters form fill-up notice 2019 for the session of 2017 under National University of Bangladesh. The Official website has published the Notice of Masters (MA, MSS, MBA, MSC, MBS, MMuse) form fill up notice. Interested Students can fill-up their examination from within 2019. 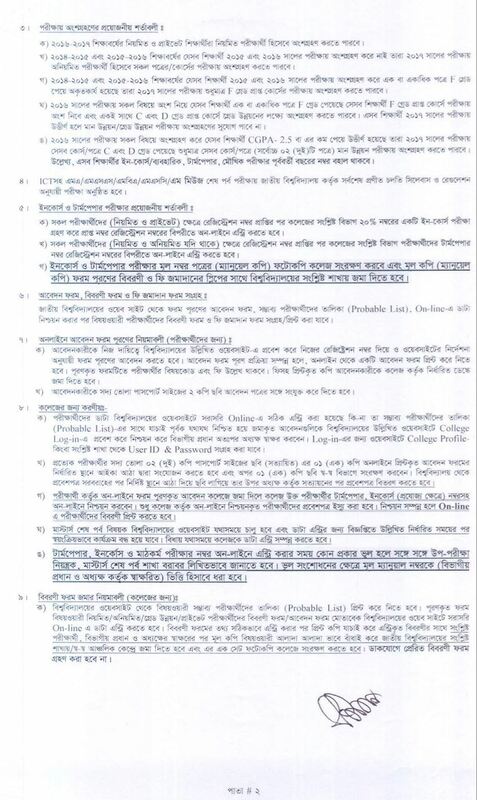 See the Notice which Has Published By the National University of Bangladesh. Students who are interested to participate in Masters examination they can apply in this time. 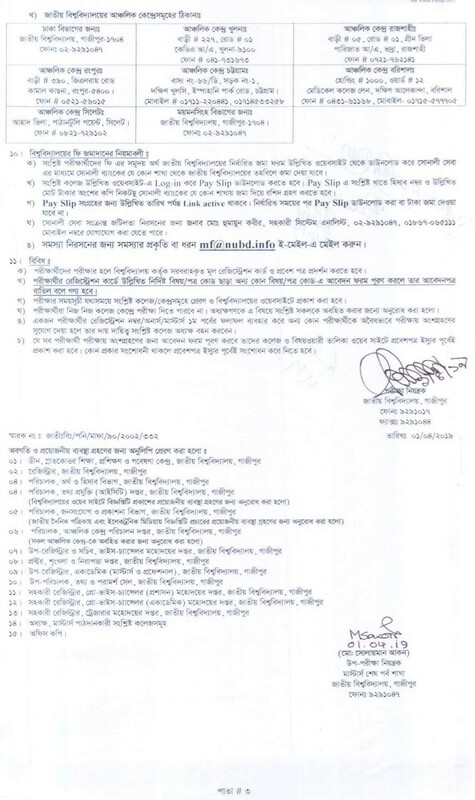 This Notice Provided By the Official website of the National University of Bangladesh. Interested students must be applied for the valid time which is given on Notice. If Over this period student cannot apply for examination in this year.